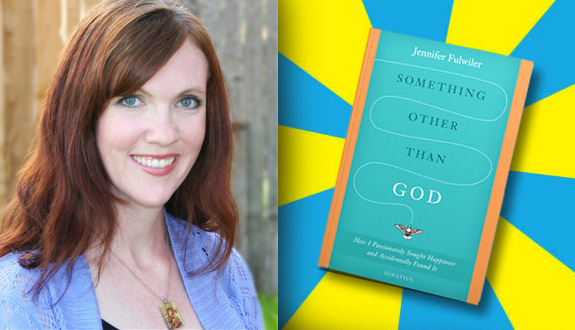 Jennifer Fulwiler is a popular Catholic blogger and homeschooling mother of six who writes about faith, family, media, and culture at her website, Conversion Diary. Fulwiler, whose memoir about her spiritual journey from atheism to Catholicism is titled Something Other Than God: How I Passionately Sought Happiness and Accidentally Found It and is available today from Ignatius Press, has been published in America, Our Sunday Visitor, Envoy, and National Review Online and has appeared on Fox and Friends and Life on the Rock. She was also the subject of the reality show Minor Revisions with Jennifer Fulwiler for New York’s NET TV. 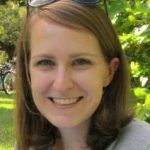 She recently spoke with Catholic World Report’s managing editor Catherine Harmon about the new book, blogging through the process of conversion, and the personal challenges she faced when the practice of the Faith became more than an intellectual pursuit. CWR: Let’s start with the title of your book, Something Other Than God. Where did the title come from and why did you choose it? Jennifer Fulwiler: The title came from this wonderful C.S. Lewis quote, which is particularly meaningful because C.S. Lewis is also an atheist-to-Christian convert. The full quote says, “All that we call human history…is the long terrible story of man trying to find something other than God which will make him happy.” And the reason I chose that is because at first, I thought this story was just a standard conversion story, but as I got into the writing I realized this was more of a story of a search for happiness. So that’s why I chose that quote, because it talks about how we’re all searching for what will really make us happy, and we can only find that in God. CWR: In the book you describe the very intense, almost arduous intellectual process you went through of coming to understand Christianity and what Christians believe. During that time what was your attitude toward “cradle Christians” or those who believed in Christ in a perhaps somewhat unreflective—or at least less intellectually rigorous—way? Fulwiler: It changed over time. When I was younger, because I had had some bad experiences with Christians, I was very disdainful of “cradle believers” and just thought that they bought into these lies for self-serving reasons. As I got older, though, I began to see it as just a cultural thing. I didn’t think that people’s religion actually meant anything to them; I thought that’s what they did because it was the tradition in their family, or whatever. CWR: At what point do you think your attitude started to change? Fulwiler: I think after I met my husband, who was a very lukewarm Christian. But he was enough of a Christian that he knew some other believers, and considered himself a believer. It was getting to know him and getting to know his friends on more of an intimate level—I think anytime you hold stereotypes, those are always shattered when you actually get to know the people you’re stereotyping. So once I started forming real bonds with people who believed, that really made me see that there was more complexity to Christians and Christian beliefs than I had originally thought. CWR: What made you turn to blogging in your exploration of Christianity? Fulwiler: I was a web developer by background, and so it came very naturally to me to have an online presence to talk about anything that I was going through. But specifically, I still didn’t know very many Christians, and frankly, the Internet was the only place I could find a forum with lots of Christians to dialogue with. The other thing was that, because my social circles were almost entirely atheistic, it was very embarrassing to me to be exploring Christianity. And so my blog was anonymous initially, and that was a way for me to talk about these ideas without anybody knowing I was talking about these ideas. CWR: In the book you describe some of the relationships you developed with your readers, especially in that early stage of your conversion. Have you maintained any of those relationships? Fulwiler: Yes, I have; it has been wonderful. Many of the people I originally got to know when I first started that blog, before I was even Catholic, have become real friends, in person, not just through the Internet. And so it’s been wonderful to see how the Internet was what originally forged those connections. CWR: In one of my favorite scenes in your book, you describe one of your first sincere prayers—for the murdered rapper Tupac Shakur. Can you talk a little about what moved you to make that particular prayer, for that particular intention? Fulwiler: It must have just been the Holy Spirit. I’ve always been a fan of Tupac Shakur’s music and the reason that I talk about it in that chapter is that in a very, very strange way he reminds me of Chesterton and C.S. Lewis. I want to be very clear—I’m not holding him up as a role model or anything; obviously he was into some pretty bad stuff. But I did see an intellectual honesty underlying everything he ever did. So I felt a great pity for him—that his life ended up where it did. And when I thought about it in light of what Catholics believe, I just felt so sad that he never found the truth for which he was so obviously looking. And so I was very moved to pray for him. CWR: It is clear, in reading your account, that you were very determined to be as intellectually honest as possible as you investigated Christianity—except on the subject of abortion. You say frankly that for a time it was more important for you to remain “pro-choice” than it was to take an honest look at the morality of abortion. Why was this subject different from other areas of Christian belief for you? Fulwiler: Intellectual honesty was so important to me, but I willingly threw it out the window with that subject. The reason was that I believed in my heart of hearts that women need to be free, that they can’t be slaves to their own bodies. And because I bought the lies of contraceptive culture hook, line, and sinker, I thought: everybody knows that contraception isn’t 100 percent, and so when the contraception doesn’t work, women just have to have abortion as a back-up. Otherwise the sexual act—which they were assured did not have to have life-changing consequences—suddenly had life-changing consequences. So it was this idea of women’s freedom that trumped intellectual honesty. And, as you see in the book, I had this huge, thunder-and-lightning moment in which I realized what takes away women’s freedom is not the pro-life movement, it’s not anti-abortion stuff; what takes away women’s freedom is the lie of contraceptive culture. CWR: When you were pregnant with your second child, and while you and your husband were going through the process of converting to Catholicism, you were diagnosed with a blood disorder that makes pregnancy very risky for you. You write that you and your husband were “kind-of-sort-of-mostly sold on the Catholic anti-contraception stuff,” and consequently you decided not to go on contraception after giving birth, against the advice of your doctor. Can you describe what it was like to make the decision to abide by Church teaching in that pretty high-stakes, rubber-hits-the-road situation, all while still going through the process of coming into the Church? Fulwiler: I think it was actually really good for me. Up until that point I had thought of Christianity as ideas that happen in the pages of books. And suddenly those ideas jumped off the pages and got really real, really quickly. It brought me face-to-face with the truth that this isn’t about concepts or evaluating data and ideas; this is about, “Do I believe in Jesus Christ? Do I want to follow him? Do I want to be part of the Church that he founded?” It just made everything so real, so quickly for me, and it forced me to take it very seriously, because it was going to involve some very serious sacrifices in my life. It wasn’t just, “Oh good, I’ll become Catholic, and that means I’ll read about Catholicism.” I was really going to have to live Catholicism. It made me ask myself, how much do I really believe this? CWR: Would you say that that decision made the rest of your conversion process easier, or did it make it harder? Fulwiler: It made it difficult in the sense that it did involve sacrifice and suffering. It made it easier in the sense that it forced me to look at the issue of contraception. And what I saw was that the Church was right, and that nobody else was right—no one else on the face of the planet was speaking these truths. When I saw that the Catholic Church was not only right but that it is the only institution that is right on this issue, it made me realize that this Church really is guided by God, that these teachings come from God, not from people. And so in that sense it actually made my conversion easy, because I fully, 100 percent believed at that moment that I had found the Church that Jesus Christ personally founded. CWR: And your husband was completely on the same page with you about this? Fulwiler: Yes. What was interesting was that he started out an anti-Catholic Baptist, and I was an anti-Catholic atheist. At the beginning of this exploration process, we both agreed to look at what is true, to set aside our biases and our baggage and just say, “What is true?” And when we took an honest look at the contraception issue and all the other Church teachings it was very clear to both of us that this is true. CWR: Your book ends shortly after you and your husband are received into the Church. In the years since then, you’ve had four more children, your blog has become one of the most popular Catholic blogs out there, and you’ve even starred in a reality show about your family life. But your blog is still called “Conversion Diary.” Is that process of conversion one that’s squarely behind you now, with all your questions answered? Fulwiler: No, not at all. In fact, that’s why I wanted to call it Conversion Diary. The original name was “The Reluctant Atheist,” way back when, and so I wanted to change the name when I wasn’t an atheist anymore. When I announced the new name I was going on this wonderful quote from Pope Benedict in which he talks about how conversion never ends—every day of the Christian life is a constant journey of conversion, of growing closer to God. And I wanted to give the blog that title as a reminder to me that my conversion is not something that ended in 2007, that my conversion is something that will happen until the day I die.